#000442 - The Individuated Hobbit. 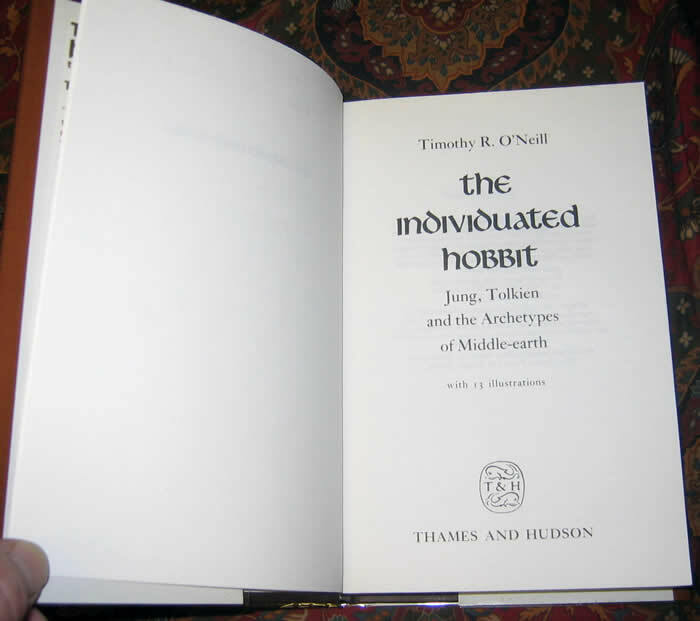 Jung, Tolkien and the Archetypes of Middle-earth -- A very nice tight, clean copy of a tough to find essay on Tolkien's works. 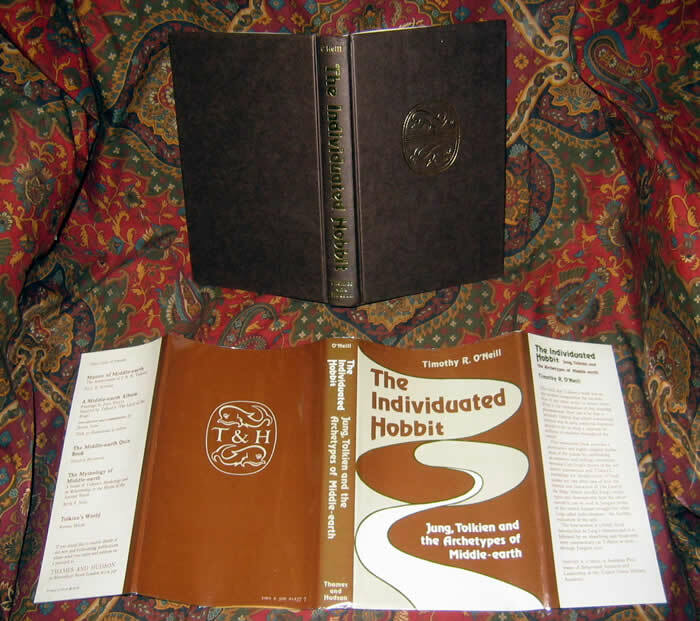 This book provides a provocative and highly original explanation for the phenomenon of Tolkien's works on the modern imagination. 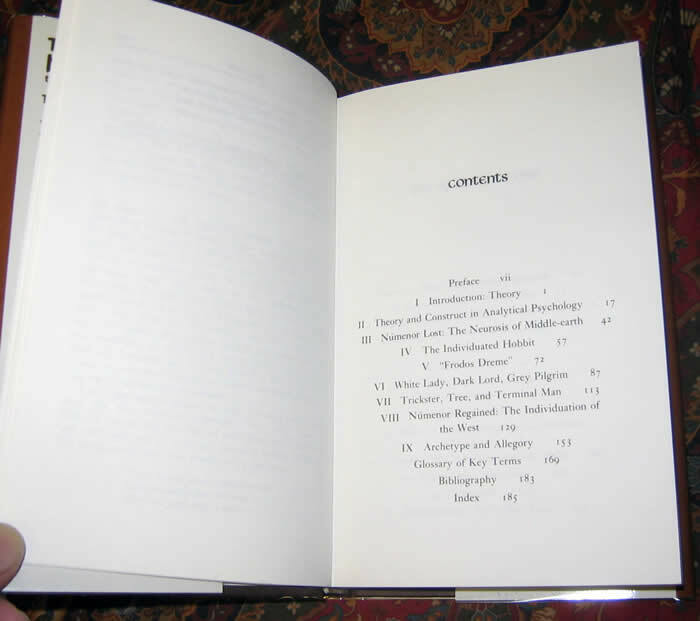 Correlates between Carl Jung's theory of the collective unconscious and Tolkien's mythology for Middle-Earth. 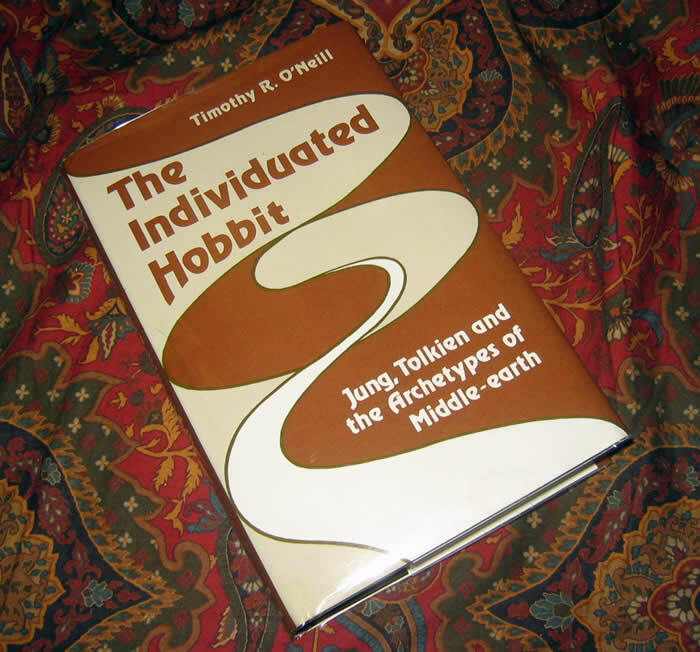 O'Neill points out case after case of how the themes and characters of The Lord of the Rings closely parallel's Jung's archetypes, and how the entire narrative can be read in Jungian terms as the central human struggle for what Jung called individuation - the healthy realization of the self. 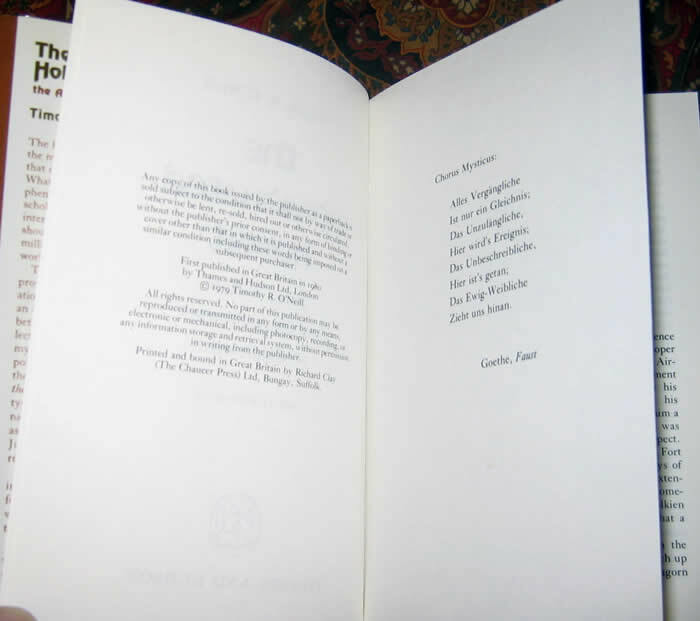 A Near Fine copy with a little dustiness and a couple of smudges to the top of the text block. A Very Good Plus dustjackets, with some slight fading to the spine, some rubbing to the panels. No other marks or writing.